Made of natural wood and sea urchin shell. Size, cm: 15-20 (height) х 5-6 (max diameter). 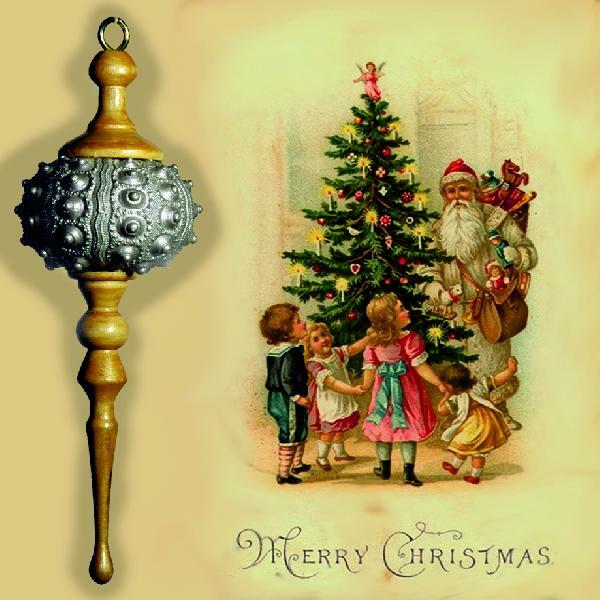 An original Christmas tree decoration made of wood (apple, juniper or rowan) and painted sea urchin shell. Magical and weightless, as any Christmas tree decoration should be. Can become a great Christmas gift or even a family relic! Available in gold, silver, white, copper red and iridescent. Comes in a festive packaging. Also available in batches (3x+) of any colour. Order complete in three days. 10% OFF.